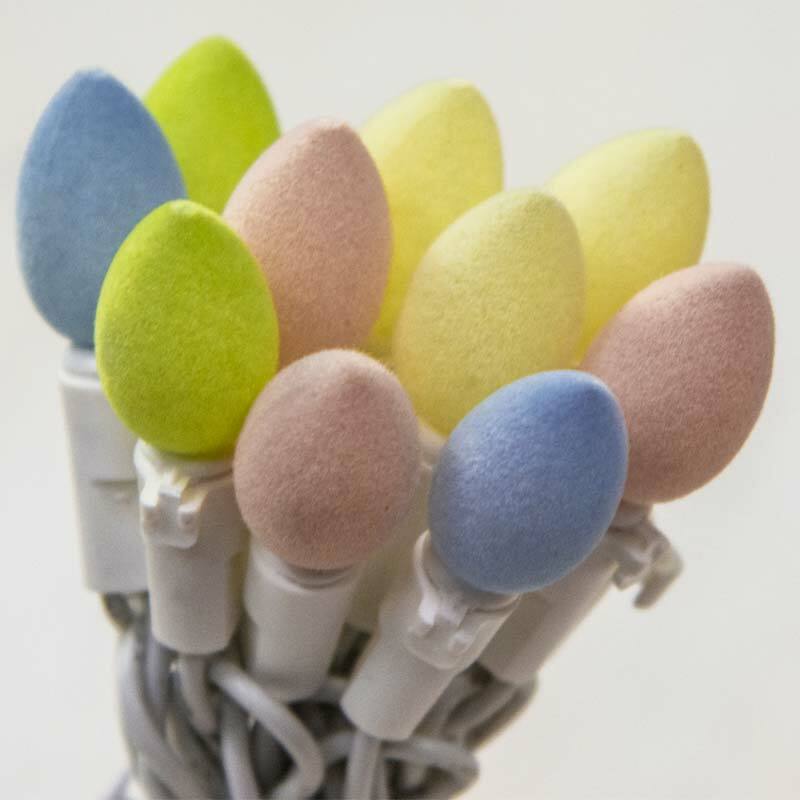 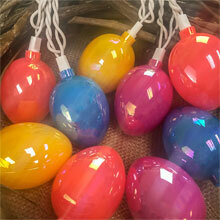 Add some flare to your Easter and spring décor with these LED velvet textured Easter egg lights. 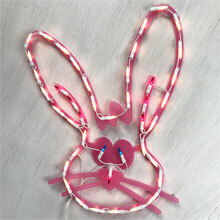 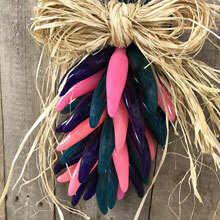 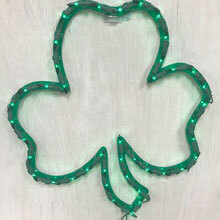 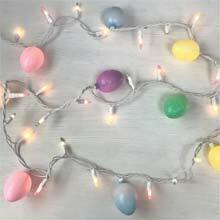 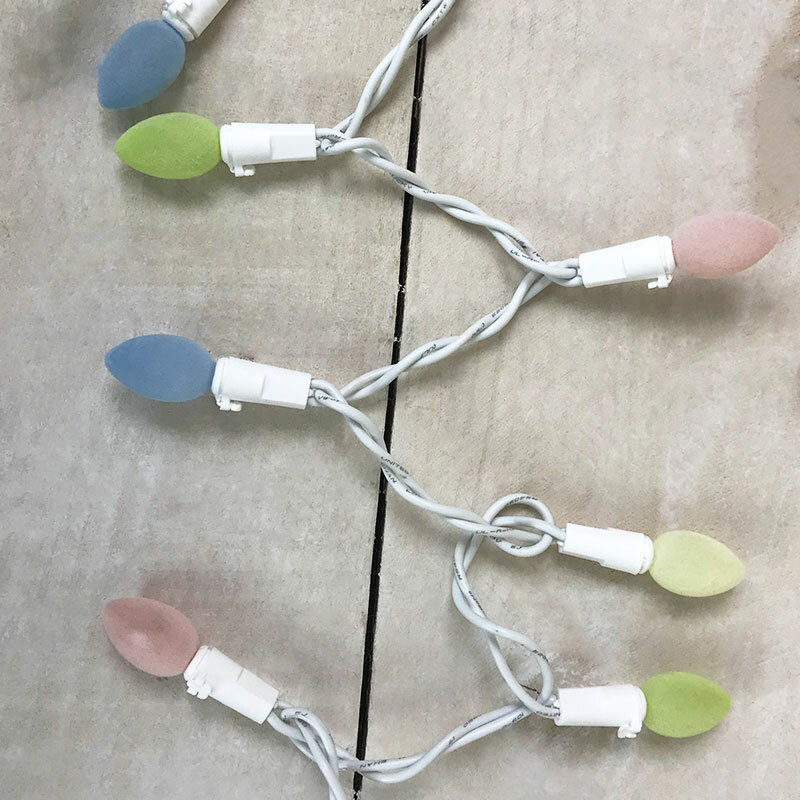 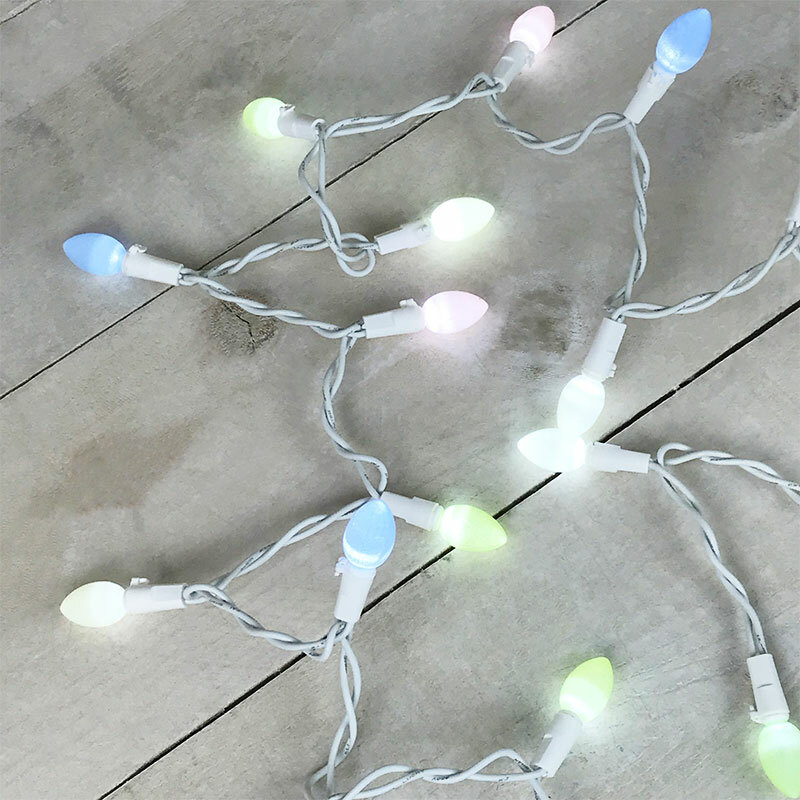 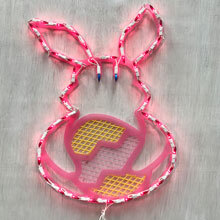 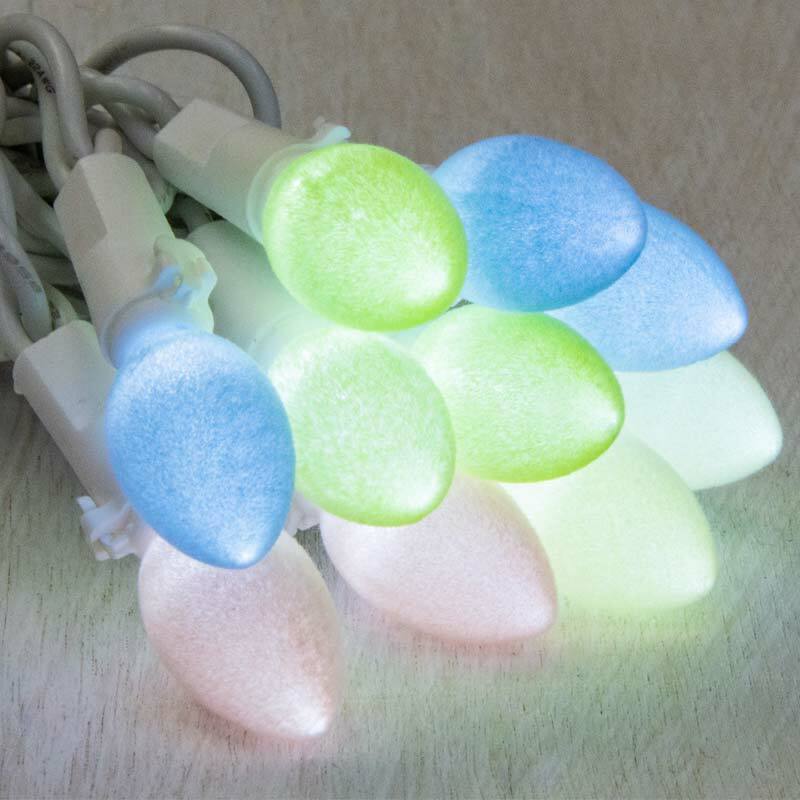 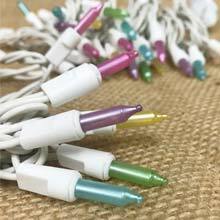 Each strand features 20 pastel Easter egg shaped bulb covers in yellow, blue, pink and green, on a 5.75 foot white cord with white LED lights. 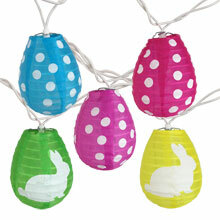 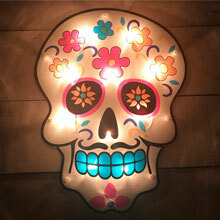 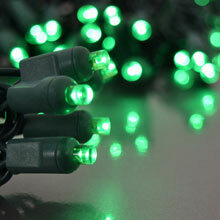 The Easter eggs lights are sure to make any space a happy place!